On Wednesday 25th of October a delegation of teachers from Portugal visited the school. 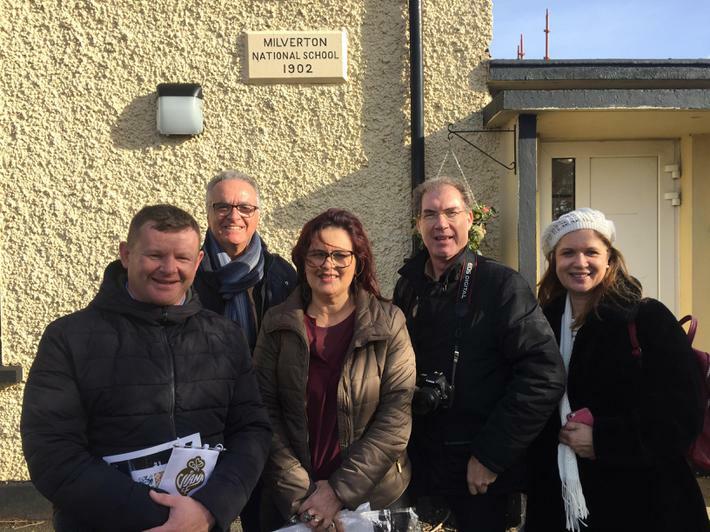 They were accompanied by Lydia McCarthy part of Trocaire's Development Education team. 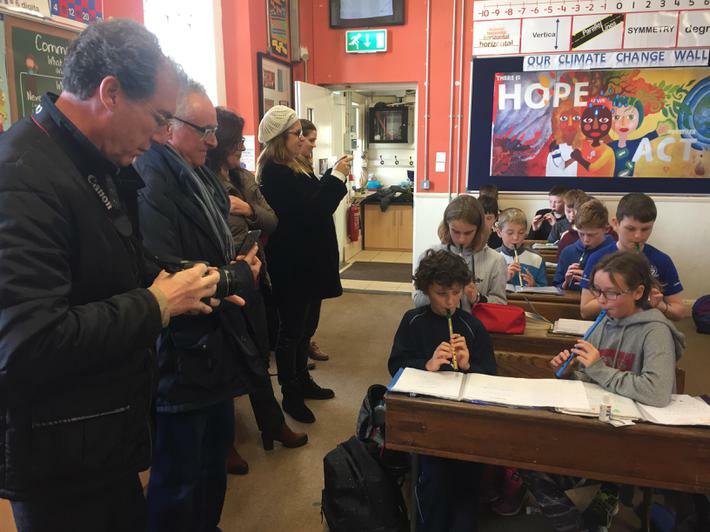 The visit was part of the Global Schools project -coordinated by the EU, DCU and Trocaire-that Principal Johnny Tyndall has taken part in over the last two years. The teachers all come from Viana do Castelo in the north of Portugal. Mr Tyndall had visited their schools in March of this year. The project was to allow shared learning in Global Development Education between Ireland and Portugal. 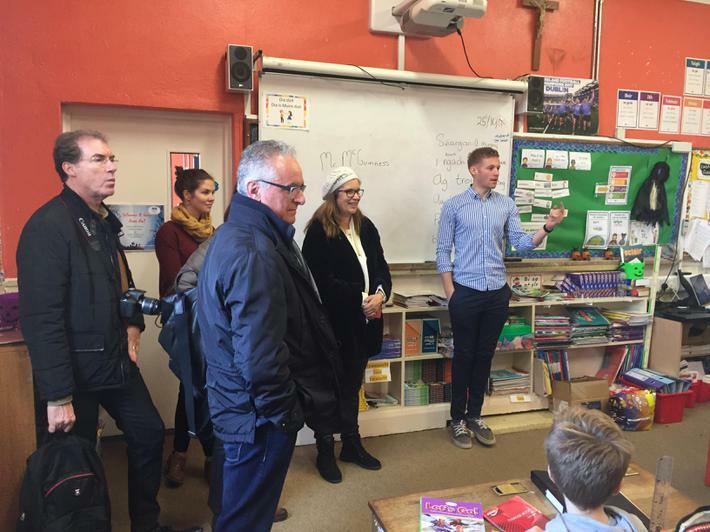 The teachers visited all of the classrooms and got an overview of how a small country school functions. Mr Tyndall presented them with a gift on behalf of all at Scoil Moibhi.